Law firm mergers are all the rage at the moment as the industry shrinks in the face of deregulation and increased competition. 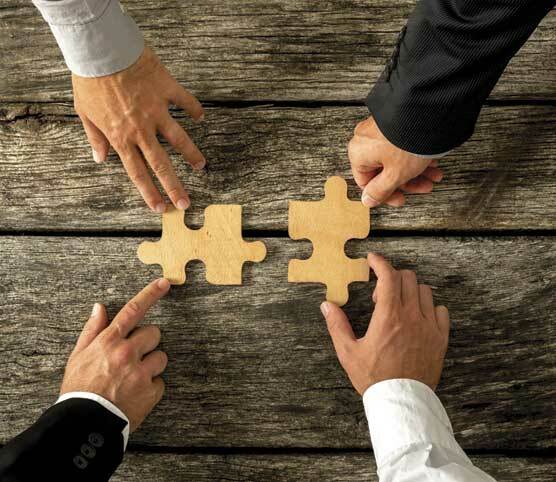 At McBrides we have been assisting with two such mergers in recent months. The first involves two clients who we introduced to each other a few years ago. The larger was a general practice firm, very well respected in their geographical area but with a couple of areas of law which they were looking to strengthen. The other, one of the very first law firms to be granted Alternative Business Structure (ABS) status, specialised in those two areas of law and was located some 9 miles away from the larger practice. Our introduction enabled both firms to cross refer work over a period of time to strengthen their offerings to clients and allowed a good working relationship to develop. When the founders of the smaller firm decided it was time to hang up their legal boots it was obvious that they should talk to the larger practice. Conversations developed and the terms of a merger were agreed. Our role was to structure the merger to meet ownership objectives and generate the best tax outcome for both parties. Given they were both clients of McBrides we were very conscious of the potential for a conflict of interests. However, all parties were aware of this and, with constant evaluation of the issue, and the careful use of ‘Chinese Walls’, we were able to assist both firms through the tax, structural and accountancy issues to effect a very satisfactory merger. The combined firm now has greater technical depth and better coverage in a number of legal disciplines and an increased geographical reach and reputation within which to grow and expand its delivery of services. The greater critical mass of the combined firm creates other opportunities too. The other merger which is ongoing involves a niche law firm client of ours which has agreed terms to merge with another much larger firm looking to consolidate and expand their service offering in that particular niche, and to enter a completely new geographical location. We are assisting the main Principal of our client and have helped him consider the merger offer, agree heads of terms, and are currently working with him and his solicitor to finalise a Share Purchase Agreement and work through the due diligence program instigated by the larger firm’s advisers. All parties are confident of success as the commercial rationale for the merger is very strong and everyone is of a mindset to make it happen. The benefit for our client of the support and extensive infrastructure of the larger firm is a major factor in his thinking. These two circumstances illustrate a variety of benefits that mergers can offer. A prerequisite, is the right commercial circumstances, where firms in a position of strength combine to gain greater critical mass, secure the interest of their stakeholders and provide an appropriate exit route for retiring partners. Our clients tell us that having the right advisers around to assist with these things, and even to make the initial introduction, helps enormously to get the best results. Even where skills within the firms exist, an experienced and independent outsider can work sensitively and efficiently through the required processes to achieve a mutually successful outcome. If you are considering sale, merger or acquisition of a practice do please get in touch.